The heat produced from a stove immediately rises to the ceiling instead of moving horizontally across and heating the whole room. 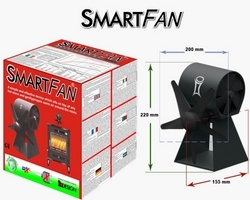 The smartfan an Irish designed product from IQ design comes in four different models to suit either wood or other burning fuel stoves, gas stoves or soapstoves. It spreads the heat created by your stove directly into the room as opposed to heating your ceiling meaning your room will heat up faster and you will save money on your fuel costs. 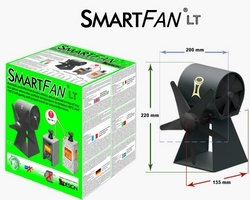 The smartfan creates its own electricity through the heat of the stove on which it is placed. The hotter the bottom of the stove fan the faster the 5 blades will circulate which in turn means your whole room heats up faster. The electricity created from the heat from the stove propels two fan blades. 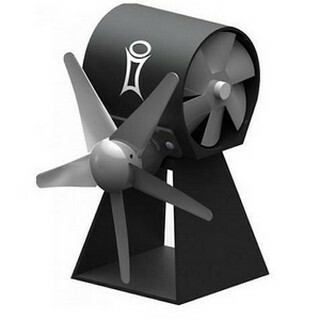 The main fan blades distributes the warm air across the room and the axel blade at the top of the fan keeps the fan cool which increases its efficiency. 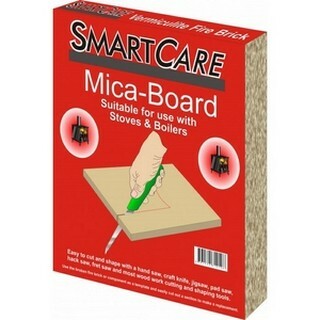 - One year guarantee and two year extended warranty. 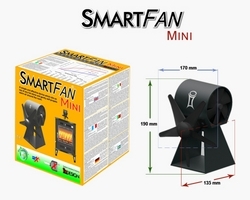 Which model of Smartfan do I require? Use the chart below to decide which model best suits your requirements. 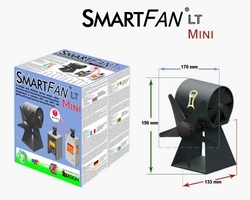 Bought a SmartFan and took delivery of it the very next day – product was well boxed for protection during shipping. A major concern we had was that the fan blade is ungarded – meaning that there is the possibility of finger entrapment. I spoke to Colin and was assured that the torque on the motor was very low and that the blades stop when they are touched by anything. What I didn’t realize when I was purchasing the fan was that the blades are a light plastic rather than metal (and a spare blade is supplied too). When the stove was lit and the fan operating under normal conditions, the wife got ultra brave and touched the spinning fan and ultimately stuck her finger into it – no blood – so happy days. Regarding performance of the fan, there is an improvement in the speed that the room heats up following lighting of the stove. Obviously it is very difficult to quantify this. However, I will say that out stove has a timber mantelpiece (original fireplace) over it and I have noticed that after a few hours burning without the fan, the underside of the timber would be very hot. With the fan running, the underside of the mantle piece was warm – definitely not hot……a clear indication that the heat is being dissipated/pushed out from the stove hence it must be doing something.